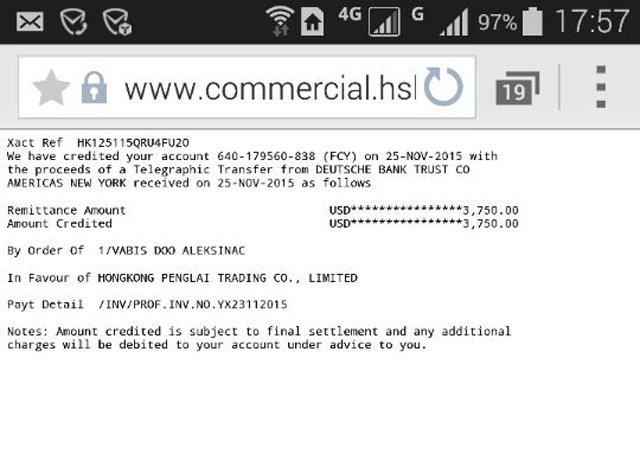 fee we did as our customer requested with another 3days . At the end all was great and passed the inspection from our EU buyers . 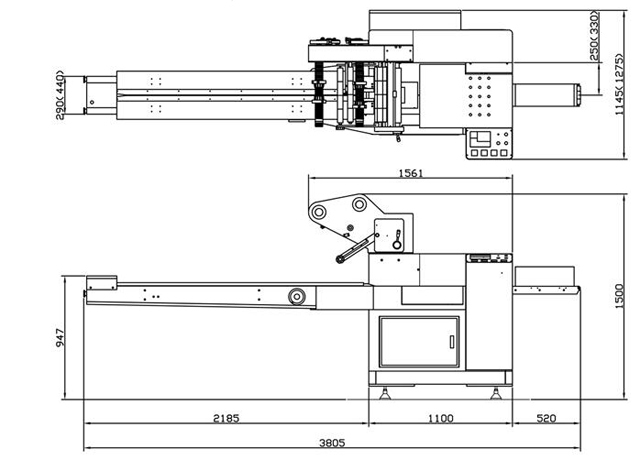 The machine is wholly PLC controlled . Parameters are set up directly through touch screen. temperature PID control modeenables precision within±1℃. In accordance with food industrial need, we add units of nitrogen charging, corner folding, double chain rows, and free-falling deoxidizer groove,to fully meet customers’ individualized need. ►The mechanical transmission system USES a differential mechanism and automatic transmission, and other types of cancelled this two kinds of mechanical structure. 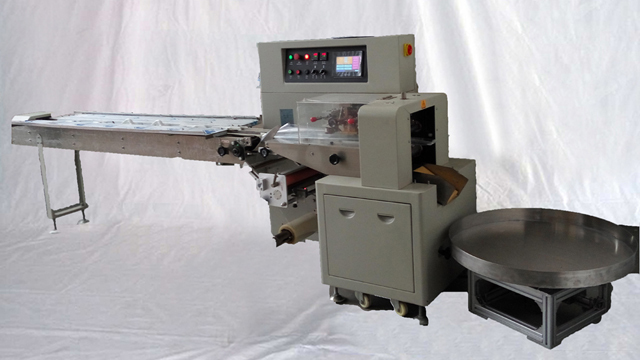 Is the most widely used in various fields of a packaging machine. ►The machine control by PLC, frequency control, the control panel adopts touch screen control, all parameters of the visual display on the screen, reduced the point of failure, and has the function of fault detection, realize the man-machine dialogue. ►Main electric components: PLC, inverter, touch screen, temperature control module adopts the international first-class brand components, high quality to ensure the stability of the whole machine performance. 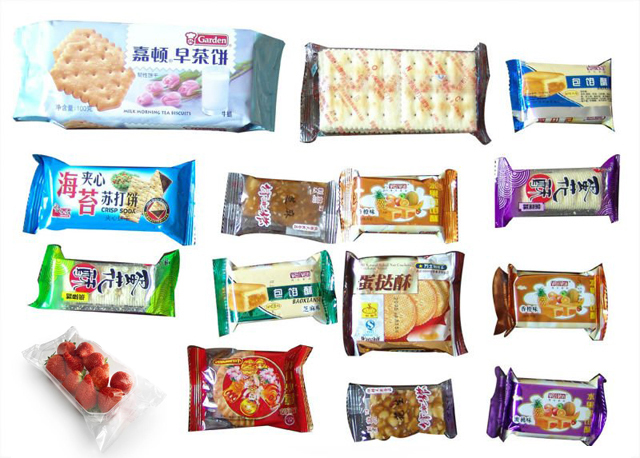 ►On a touch screen realizes PID temperature control mode, can make the accurate temperature control within ±1℃even if is 0.02 mm * single film can also be perfect packaging. 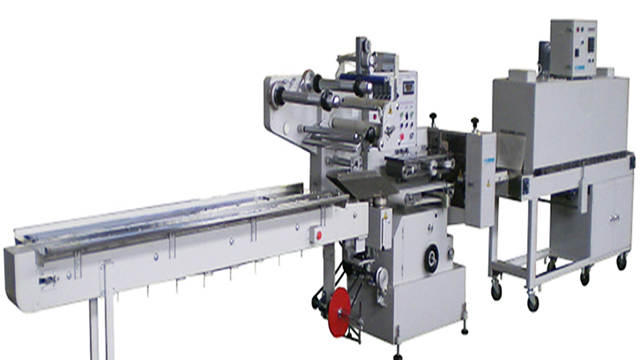 ►Direction, tracking and precise photoelectric switch, guarantee the tracking accuracy, to ensure accurate cutting layout complete and easy to adjust, * positioning stop function, which can effectively prevent the parking hot film, reduce packaging waste. Mask, Wet Wipes, Metal Parts, PIZZA Crust, Bread, Moon Cake, Instant Noodles, Meat, Soap, Rice, Seaweed...etc. 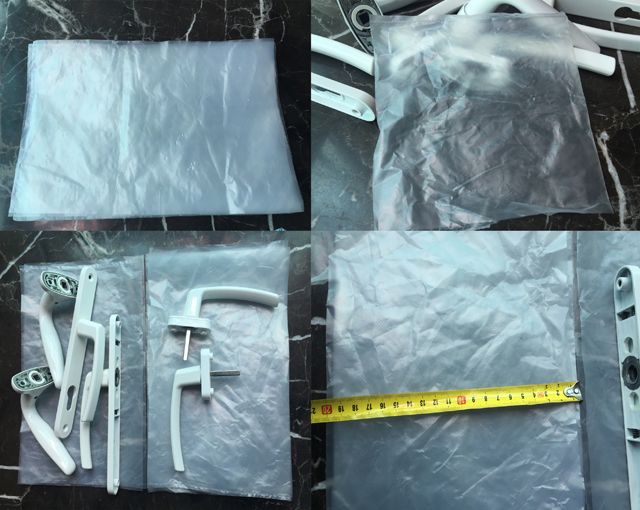 1) The first step is to determine the installation position, refer to diagram 3. After the machine is set, take the worktable as the level reference to adjust the four level adjusting screws, set the main machine in a level position. 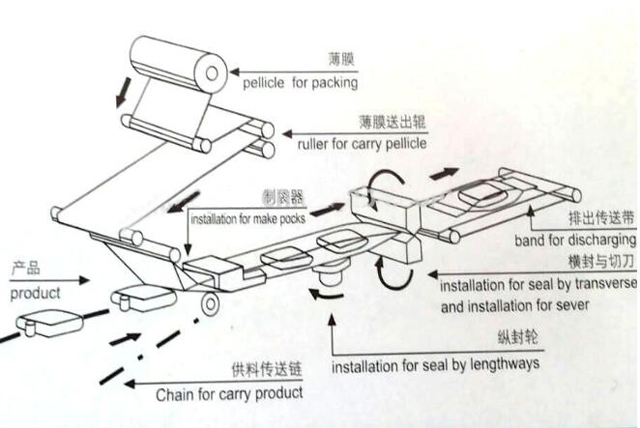 2) Install the feeding machine, fix it to the left side of the main machine with bolts, then adjust the two level adjusting screws of the feeding machine, set it in a level position. 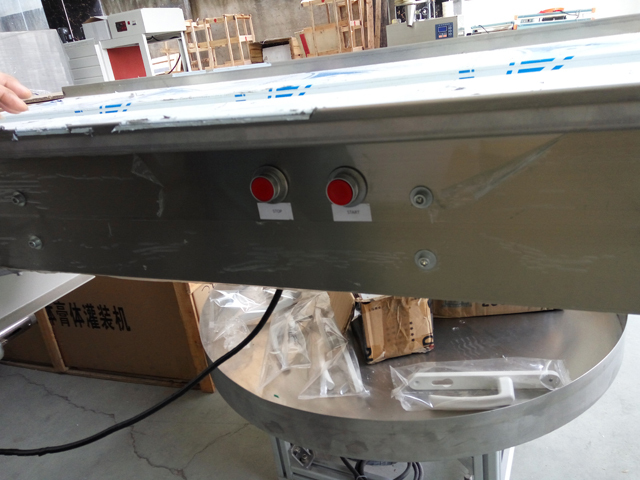 For the part connecting with the main machine, the bottom of the feeding chute and the main machine table should be aligned and kept in a same level. 3) Install the push finger chain. Loosen the left handwheel (see diagram 2) of the feeding machine, and install and connect the push finger chain. Turn the handwheel to adjust the push finger chain to a proper tension. 4) Connect power supply line. This machine uses single-phase 220V, 50HZ power supply. Never connect to 380V or other unqualified power supply. Special attention must be paid to this requirement! In order to ensure safety, all wiring work should be carried out by qualified professional electricians. Connecting cable is attached to the machine. If you use your own power plug, 1.5m�Othree core cable must be used, correctly connect the live wire(L), the zero wire (N), and the grounded wire (E). 1) Make sure that the power supply is correct（test L, N with a test pencil）. 2) Connect all the circuit breakers in the control cabinet, check if all meters and power indicator lamps on the control panel are normal. 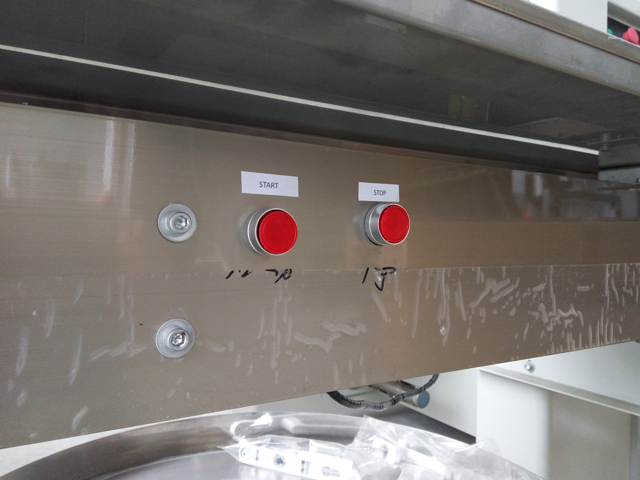 3) Press inching button, check if the machine can operate normally. 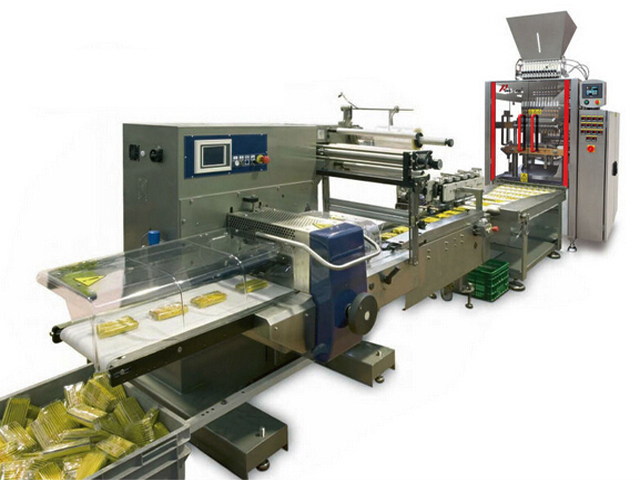 4) On the human –machine interface, set the packing speed to 40 packages per minute, then press the start button (green), run the machine normally for 3 to 5 minutes, after make sure the machine can operate normally, press the stop button (red). Now a correct installation is completed. 2. The film color mark is weak. 1. 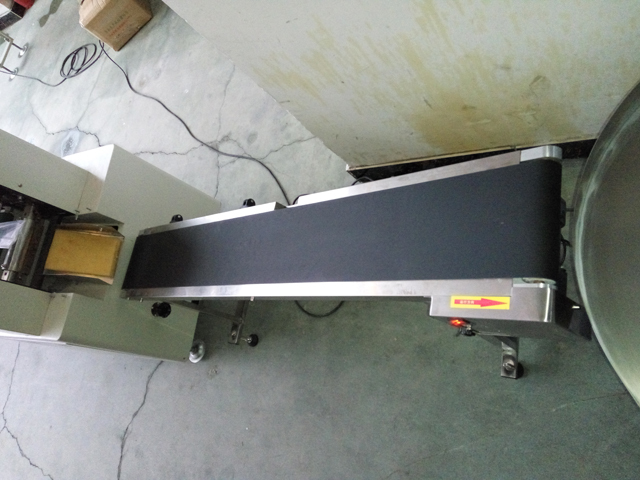 Change follow up method into “follow up cut” in the follow up method display of the human-machine interface. 2. Refer to the magic eye instruction manual attached to adjust the sensitivity of the magic eye. 3．Adjust the tension of the rubber roller or the degree of tightness of the brake. 1. The push rod and the cutter are asynchronous. 2. The height of the cutter seat is improper. 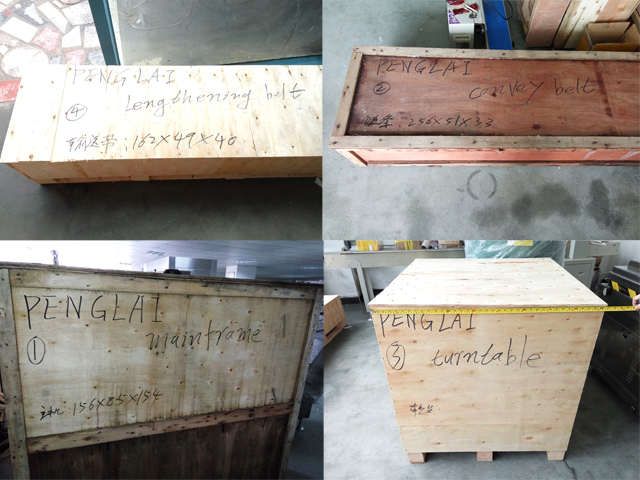 3．Packing speed is too high. 1. Refer to section 4.6.4 about push finger position. 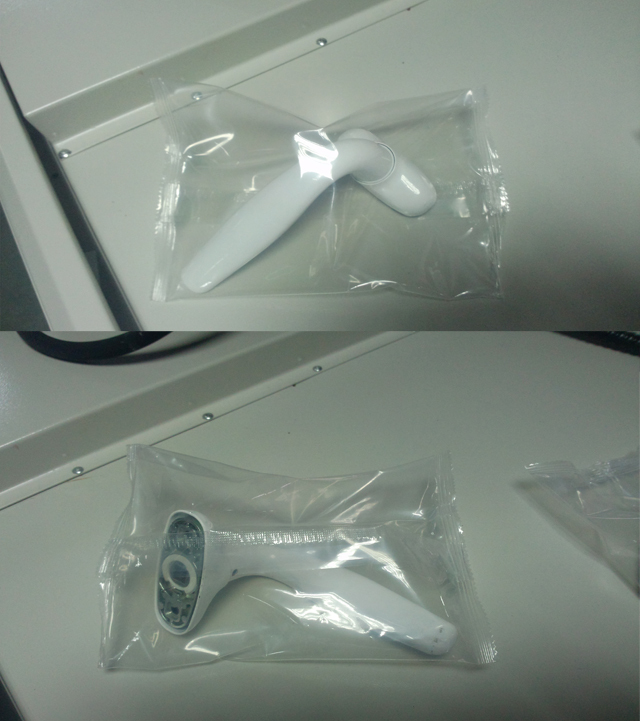 2．Adjust he height of the end-sealing parts, adjust the sealing knife meshing center to the half of the product height. 3. Decrease the packing speed. 1. Temperature is too high. 2. Speed is too low. 3. The thermal endurance of the film’s outer layer is poor. 1. Bring down the temperature. 3．The thermal endurance of the film’s inner layer is poor. 2. Solid state relay is burnt. 1. Replace the heating element.